The spectacular Australian Alps contain landforms created by glaciers, remarkable fish fossils and unique cold climate plants and animals. The Alps have a strong association with Australia’s pioneering history, while the snowfields and national parks have long been popular recreation areas. The Alps span New South Wales, Australian Capital Territory and Victoria and embraces 16 national parks and reserves. Ride a mountain bike along contour-hugging trails, bushwalk to a heritage hut, within the Australian Alps there are about 120 active alpine huts that mostly date back to the early cattlemen’s days, early skiing huts, and early research and surveying huts or horse ride along gentle alpine tracks. Fly fish in the streams and lakes, go white water rafting, run or four wheel drive along mountain tracks to character-filled country pubs. 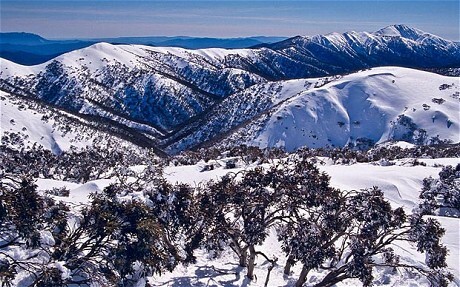 Skiing in Australia takes place in the Australian states of New South Wales, Victoria and Tasmania during the winter season which is generally from Mid june to October.